The Smart Forvision has plastic wheels to save weight. FRANKFURT -- A Smart concept at the Frankfurt auto show will showcase weight- and energy-saving technologies that may be used in future electric cars. 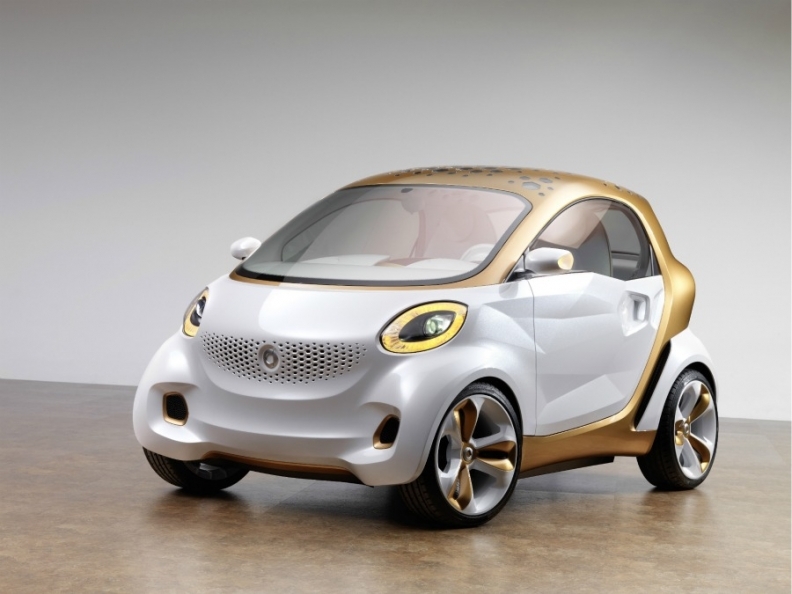 Smart's owner, Daimler AG, and German chemicals company BASF will unveil the Smart Forvision EV minicar at the show. New technology in the concept includes solar cells based on organic chemical dyes built into the car's roof. These are combined with organic light-emitting diodes that serve as a light source for the vehicle. "Smart is also setting new standards of lightweight design with the use of the first all-plastic wheels," Annette Winkler, Smart boss, said in a statement. The wheels are made of Ultramid, a plastic which Daimler says is just as stable as metal and can reduce weight by up to 30 percent. The concept's chassis has been constructed from fiber-reinforced plastic instead of metal to reduce weight. Saving weight is a key consideration for electric cars because of their heavy battery packs. 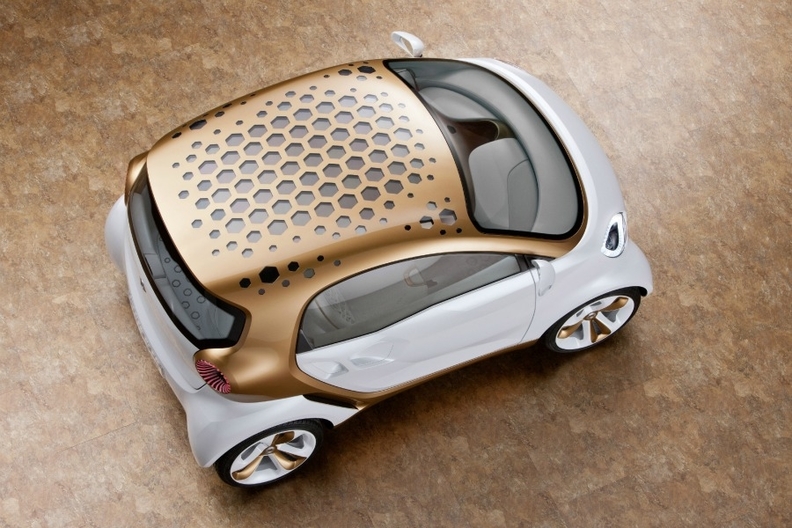 The Smart Forvision has solar cells built into the car's roof.